Time Travel in Style! 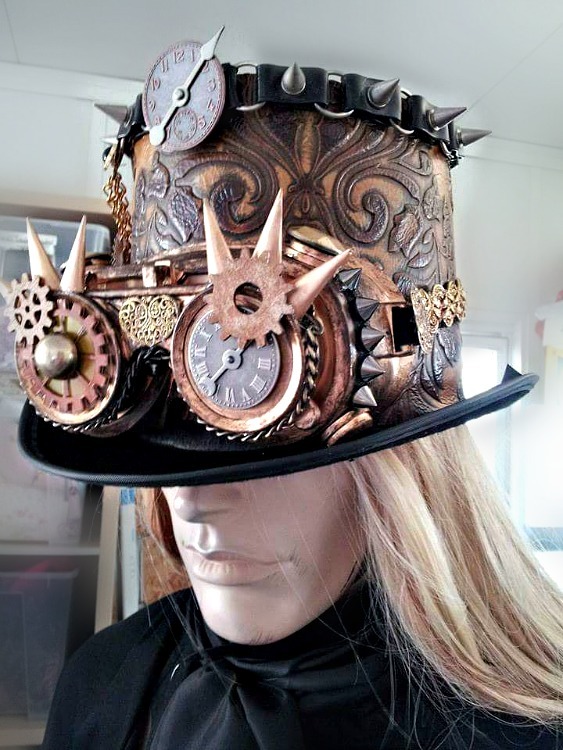 This hat is a a combination of various industrial materials, leather, and findings. Rigid Felt Hat frame. One of a kind design.